This and many other questions may appear when we begin to deal with real estate, all the same whether we are buying or selling them. There are various situations in which we admit that the task in front of us is too demanding, complicated and sometimes takes too long. These are moments when everything is left to someone who has this expertise and has more experience. 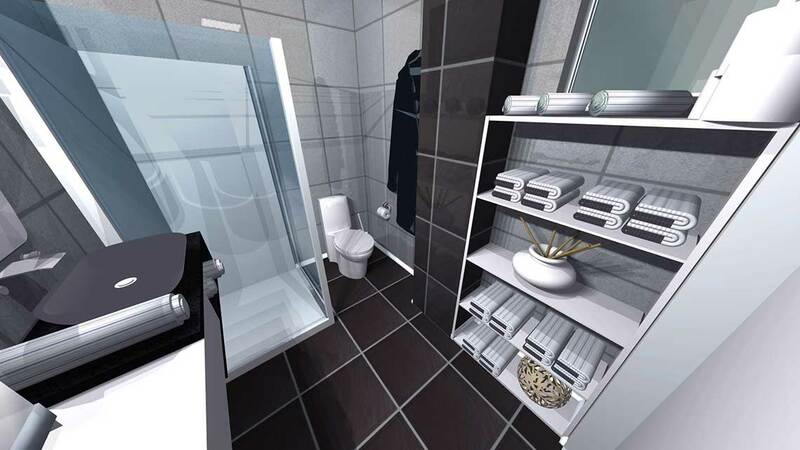 However, there is an elegant way of presenting ideas to ourself and to our potential customers – through 3D visualization. Knowing that a picture is worth about 10 000 words, it is clear how many words we can save with only one visual display. Consider the example of buying an apartment or house. It is known that the choice of home is very important thing in everyone’s life. It is rare that the first real estate that we look at is the best! Most often we make a shortlist of real estates and after that we select one using feng shui analysis. 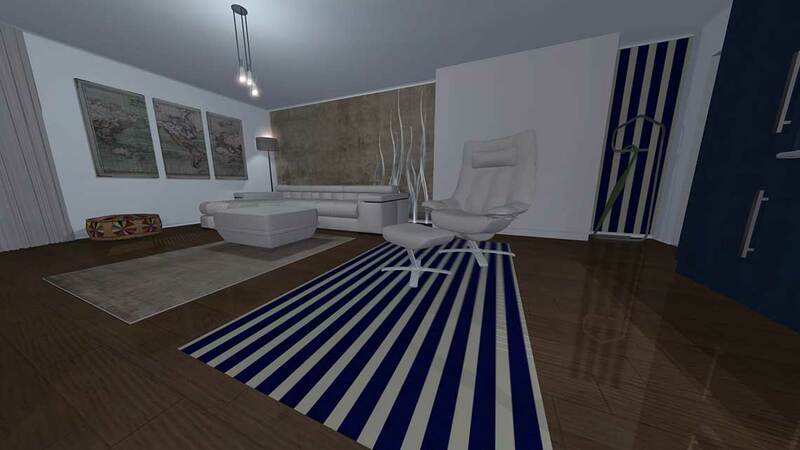 To get a picture of how our future home will look like when it is decorated according to Feng shui principles and when energy balance corresponds with us, we can use 3D visualization. 3D visualization provides a panoramic view of the area of 360 °. There are a variety options of view. If we review space on the desktop, we can move the image circularly so that we can see all parts of the simulated space, and if we use a mobile phone, we will have the impression that we are in the area with the furniture placed around us. With this tool, we get the ability to fully experience proposed solution and to feel whether it pleases us. Photorealistic contributes to this impression. The advantages of this technological shift is reflected in the sphere of real estate sales. 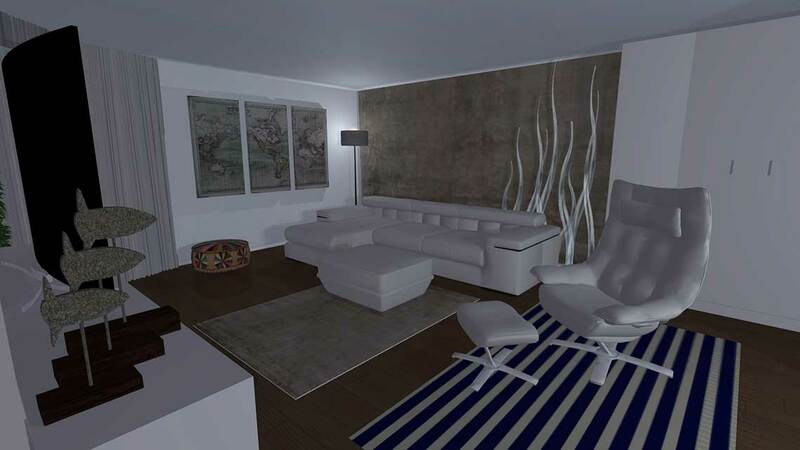 There is a big difference between an empty apartment with white walls according to this simulation in which exudes harmony and balance. It is more likely to occur the customer if the property is bundled with visualized solution and offered in that manner. This may also affect the increase in the price of the property. On the other hand, when decorating or renovating existing properties in this way, it is possible to set the furniture in real dimensions and colors. It is possible to change the wallpaper or stylize a new kitchen area forward, so as to avoid unpleasant surprises effect because it often happens that what we have in mind is not just so when the works are completed. In order to eliminate such problems, and again, with the intention of the simplest way to achieve the optimum solution and achieve the goal, I recommend this type of service. 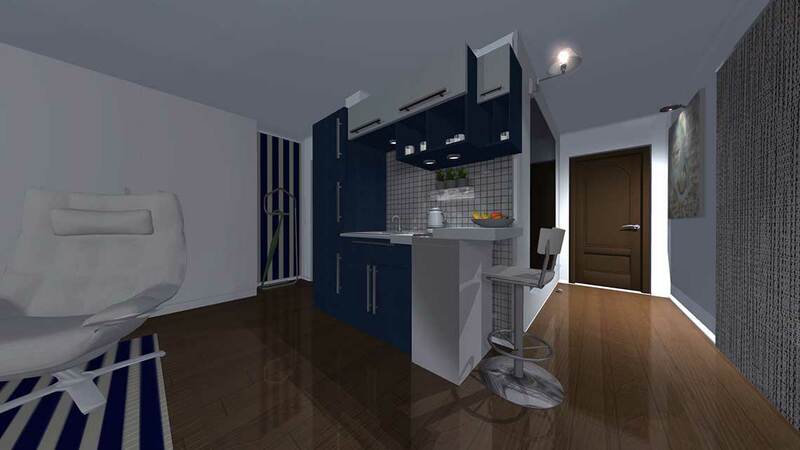 In the example shown was made visualization bedroom apartment in Dorcol, Belgrade, where different functions are positioned in the same room, but the functions are clearly defined by colors and forms. The project is fully developed according to Feng shui principles and in accordance with the needs of the energy Spatial Planning. “The final touch” is not defined, because it depends on the future owner and it will be adjusted to him. Jelena Dejanovska, PhD has been committed for years to studying space, energy and energy harmonizing. Since 2004 she has been working on space arrangement, interior design and balancing energies in space in accordance with Feng Shui principles. By combining knowledge about 3D space, movement of energies and their effects, she continued her research and in 2013. she finished her doctoral dissertation regarding these topics at the University of Arts, Department of Digital Arts. Currently she works as a scientist – researcher at the Academy of Arts in Novi Sad. “The Energy Triangle” is the title of Jelena’s doctoral paper and art work where she analyzed and explained the concepts and methods of harmonizing energies in the human organism with the help of the digital, animated installation (https://fliiby.com/file/6m2k0e7x9bc). The paper was created through the analysis of various esoteric concepts while giving special attention to the ancient Indian concept of Kundalini Tantra.